Ukraine Stadium in Lvov is a new object which will be built specially for Euro 2012. At present design works are in the final phase, and according to plan its building is expected to be finished in 2009. This modern stadium is expected to be the main element of a large shopping-show centre. A capacity of stand is estimated at over 30 thousand seats. During the European Football Championships in the stadium in Lvov- according to official offer of Poland and Ukraine- some group matches are expected to be played. Euro 2012 – the questionable building will be liquidated. 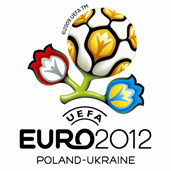 EURO 2012 – An Austrian company will built a stadium in Lviv.